Teacher Ranger, Rob Finkill, is finished with the school year and back at the park for the summer. In this post, he shares his insights about a new and effective use for 20% of the classroom time he has with his students. Two members of the park staff were thrilled to work with Hershey Middle School students for this initiative, and we’d be happy to work with you and your students too! As a classroom teacher in an ever-changing educational environment, it can be a challenge to keep students’ interest. The team I work with teaching 8th grade American Cultures had a brainstorm following a recent in-service session. We decided, as a team, in our Civil War unit to try this in our classrooms. This is middle school, not Google, Inc. The first year we tried this activity we called it 80 – 20 projects. Eighty percent of classroom time was spent on lesson and activities of our Civil War Unit. Then students got 20% of the unit time to research whatever they wanted related to the Civil War and make some kind of presentations to the class at the end of the unit. No real guidelines or structure, just time for the student to learn! Sounds great, but not all students have an interest in the Civil War or may be as motivated as Google employees. It was also difficult for some students to do something at school that wasn’t graded! We had some good results, but not really what we were hoping for. We teamed with our English teachers on thesis statement (claim statement for you Common Core fans). The English teachers helped students write strong claims and organize their citations. We did the things any good teacher does with a project: set some due dates for tasks to be completed, checked in with students along the way, gave ideas for those who didn’t know where to start, worked with Learning Support to allow all students success, and used the Media Specialist in the library as a resource. Students could pick any topic they wanted and make any type of presentation they wanted within our very basic guidelines. 4) Student achievement on the unit assessment that focused on the unit learning outcomes was better than any other unit. Students researched topics ranging from battles, individuals, ghosts, and technology to horses, baseball, and food. Presentations varied from live extemporaneous style talks to videos related to their topics. We experienced storytime as a student told a story about a soldier who wrote a letter home to demonstrate Civil War slang; we played Civil War era baseball and learned about how different and similar the game was to today’s game; and we tasted the Civil War by sampling hard tack (some with worms baked in), cornbread, and really bad coffee. Students compared the music of the Civil War to the music of today or described the roles that women played in the war. We had the standard power points, but several students created videos or used other presentation sites such as Prezi. When students are given a little autonomy to study what interests them, the results can be amazing! It was a challenge to give up time in the classroom and for some students it was a challenge to work without so much structure, but we tried to help with graphic organizers and frequent check ins. A student in Art Titzel’s class, Matt Venable, went outside the walls of the school for information on medical practices of the Civil War. Matt’s video was a culmination of research he did on amputations during the Civil War. For his research he not only consulted books and websites, but he also contacted experts at Gettysburg National Battlefield, like our own Education Specialist, Barb Sanders, for guidance and primary sources. Overall, we saw a lot of positive results and may try this in other units as well! 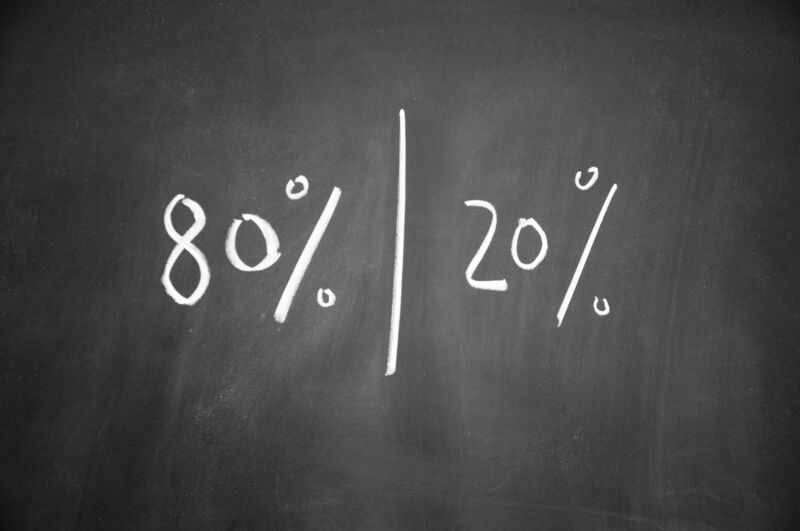 Try the 20% approach and see what happens with your students! Some teachers are calling this type of learning Genius Hour. Click to see a web site detailing 6th grade students at Hershey Middle School’s Genius hour projects and process. Thanks to Nate Beamer & Art Titzel for contributing to this blog post.